Ahead of the sales launch for the Adjaye Associates-designed 130 William condo tower in lower Manhattan, Sir David Adjaye sat down with the New York Times to discuss the building’s design philosophy and to drop new renderings of the arch-wrapped tower. 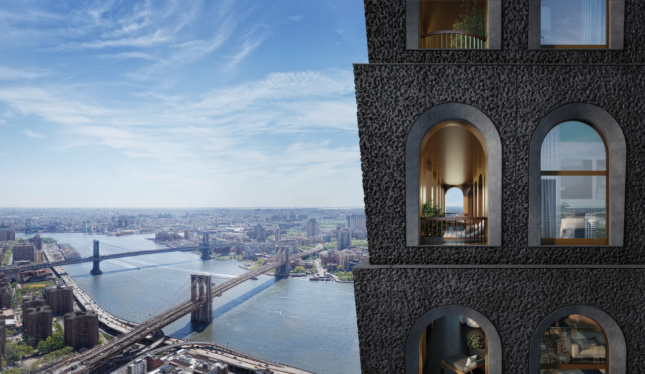 Construction on the tower, with its gothic-flair and inverted take (and massing) on the arches seen in classic New York masonry, is already well above grade. Unlike many of its glass-clad contemporaries, dark, angled concrete panels as being used for the building’s facade, which Adjaye described to the Times as acting to break up rainwater running down the face of the building. A new detail revealed in the interview is the deeply gauged and pocked texture of the concrete, reminiscent of fresh volcanic rock. The arches-all-over motif is repeated in the lobby according to the new renderings, with arched book nooks notched from concrete and arching transoms over the main entrance doors. 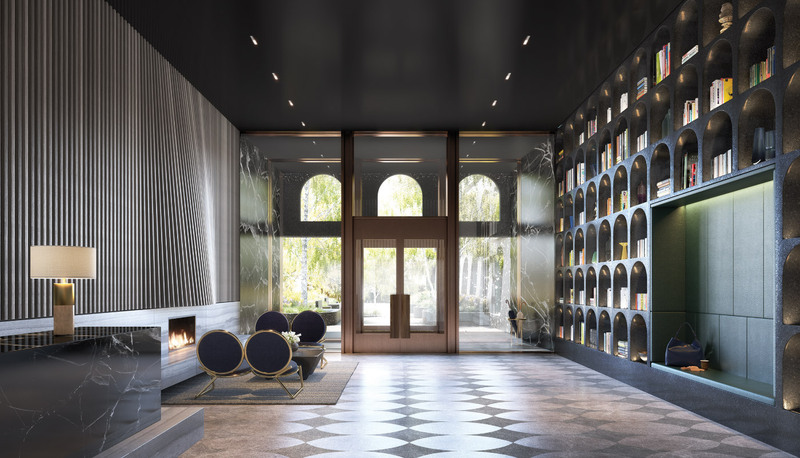 Like the building’s facade and the black tiling in the pool room, Adjaye and Hill West Architects have gone with a heavy dark material palette for the lobby. This is in stark contrast to the all-white residential unit interiors and they’re brass-burnished finishes. Adjaye Associates and Weintraub Diaz Landscape Architecture will also be designing a planted plaza at ground level inspired by the city’s historic pocket parks, though from the construction photos the building appears to be tightly slotted into the site. 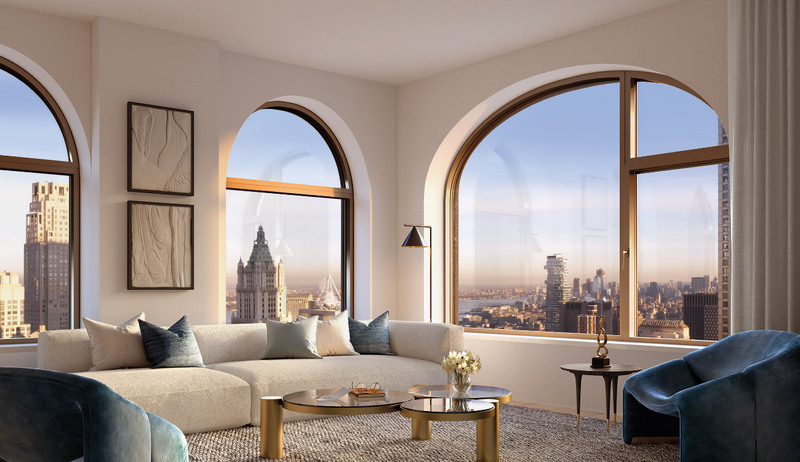 Potential residents can purchase units starting from $650,000 for a studio all the way up to a $5.42 million 4-bedroom condo, with an expected move-in date of 2020.